Presents the results of workshops conducted with 45 elementary, middle, and high school principals from California public schools. 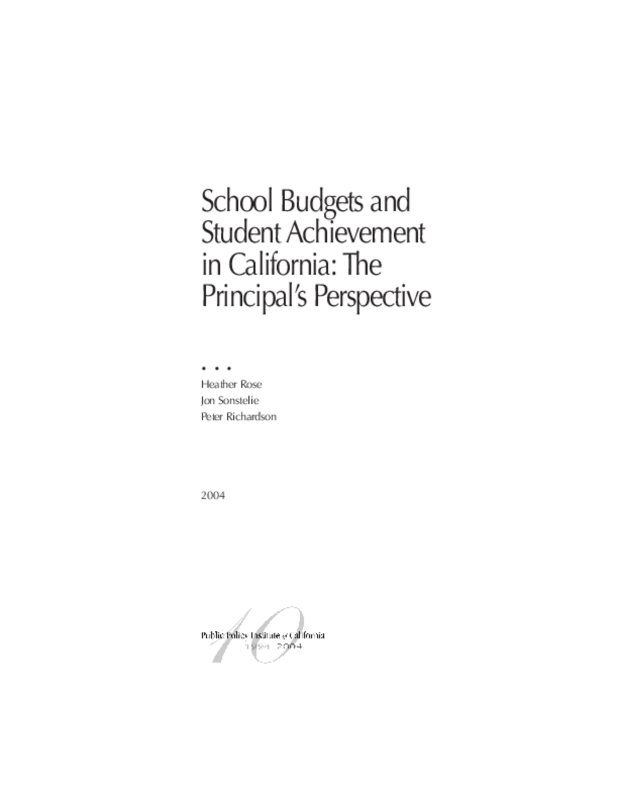 Documents the variety of resource allocation strategies used by principals to maximize student academic performance. Copyright 2004 Public Policy Institute of California.